President Marie Louise Coleiro Preca, in her role as Malta’s head of state, will visit London in November with Prime Minister Muscat, to promote the sale of Maltese citizenship at a ‘citizenship fair’ organised by Henley & Partners. Henley & Partners have listed her as a citizenship “industry expert”. Christian Kalin, group chairman of Henley & Partners Switzerland AG, has emailed Maltese agents for citizenship applications with an invitation to go to the “10th Global Residence and Citizenship Conference” on 9-11 November at the “prestigious Savoy Hotel in London”, adding that it will be “information-rich”. The event includes a “private welcome cocktail function at the National Gallery in London”, a “focused Caribbean Government Roundtable” and a “gala dinner on the Silver Sturgeon Yacht on the Thames River”. Despite all this largesse, Kalin is offering Maltese agents an “Early Bird booking discount” with which they can “save over GBP 250” if they book before 9 September, and also an additional 10% off “as one of our important partners”. 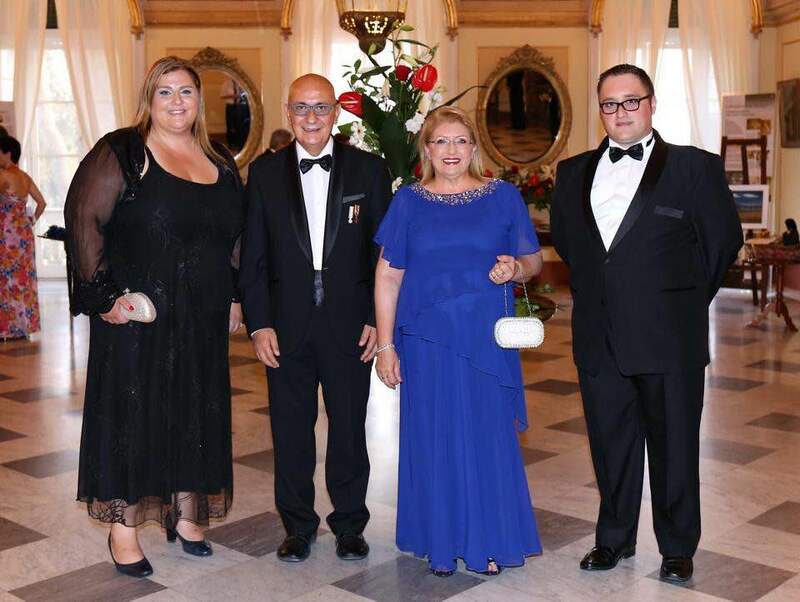 Malta’s head of state (blue dress), seen here with her husband Edgar Preca and two of her closest aides, is off to London in November to promote and sell Maltese passports for Henley & Partners, who list her in their promotional drive as a citizenship ‘industry expert’.